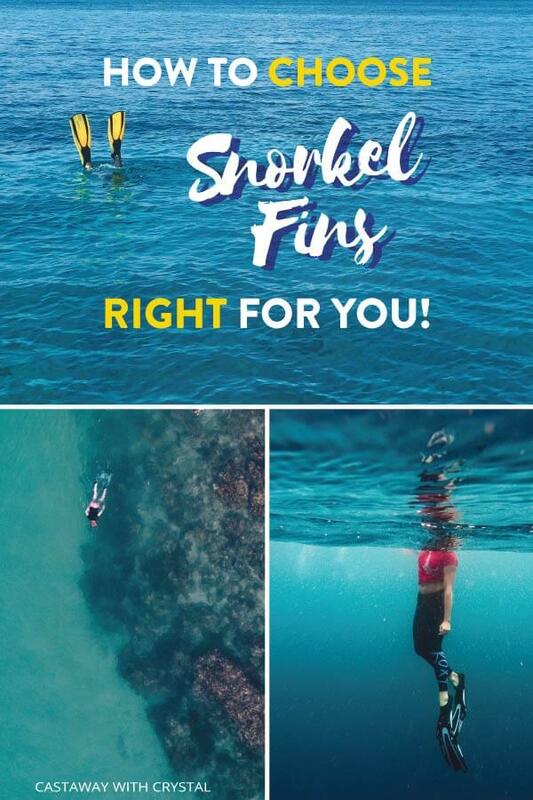 Do You Need Fins to Snorkel? HAVE QUESTIONS ABOUT ANY OF THESE SNORKEL FLIPPERS? This giant buying guide will help you decide on the best snorkel fins for travel. Don’t get tired out or blisters that ruin your holiday. Pre-buy snorkeling fins to ensure you have the best trip ever! 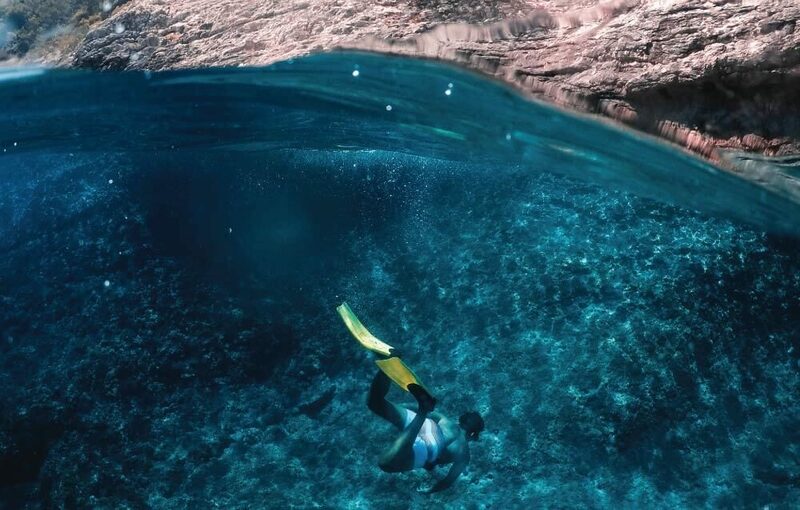 Snorkeling is undoubtedly an incredible experience, where the scenery and sensations make for a veritable sensory smorgasbord and a phenomenal adventure component to your travels. You have the freedom to explore colorful plant life, or perhaps swim towards deeper water and ogle at mighty marine animals. Or simply stationary swim and see what comes your way. But do you notice what all these options have in common? Swimming! More often than not, you won’t simply be tossed into the water to drift wherever the ocean decides and then picked up at the end. You need some control to go explore what you want, dive under the waves to take a closer look, and exit the water at the safest location. 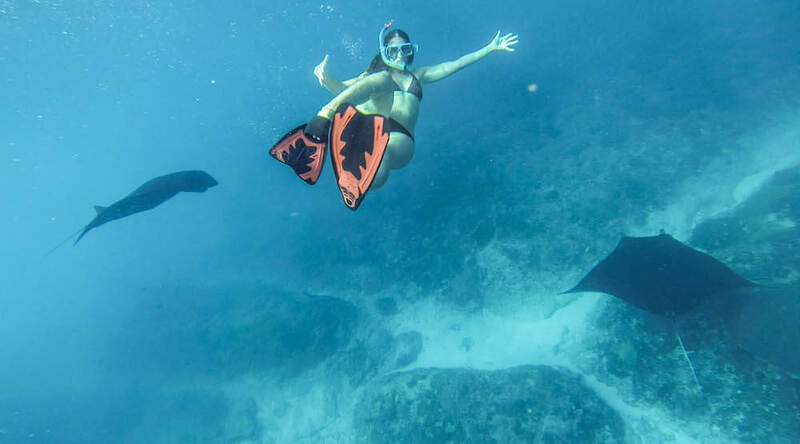 Snorkel fins are your one-way ticket to this control, and you can take it from me, the power and control that fins offer can be the deciding factor between a serious snorkeler and the also-rans. Hey, do you want to compare snorkel sets with fins, a mask, and a snorkel? Then check out our huge snorkel set guide, it will also help you choose the right snorkel gear for you! Don’t have time to read the entire snorkel flippers guide? My pick for the best snorkel fins overall is the Cressi Pluma. Cressi is a snorkel set favorite of mine, and I’ll tell you why! Cressi totally nailed it in their proprietary polypropylene construction. The fin body is super lightweight, but very durable and strong. It is one of the lightest set of full fins on the market. The Cressi Pluma snorkel fins are a seriously good price for how well-made they are, placing it in the top for value for money, quality and lightweight. 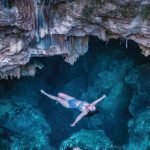 Because I want to see you become the awesome snorkeler I know you can be, I’ve compiled my top consideration points when it comes to picking the best snorkel fins. 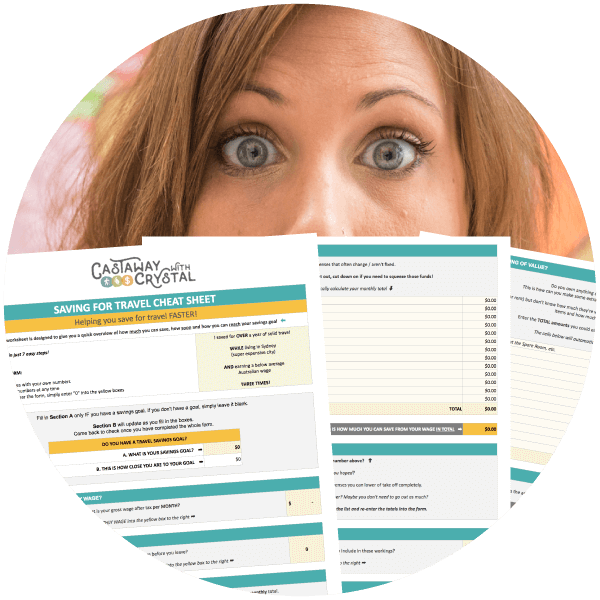 We’ll cover everything from size and type to efficiency, in order to give you all the information you could possibly need! I’m also unabashedly a Cressi gear lover and I just have to share what they can offer. 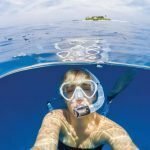 I’ll cover my personal favorite travel snorkel fins as well as take you through my overall picks of the best snorkeling flippers on the market. By the end, my hope is that all this snorkel gear talk will jumpstart your process and get you on the winning track for your trip! If you’re on the clock and don’t have time to read the whole thing, take a quick squint at the table below for the lowdown! “Do I need flippers to snorkel?” is a common question for newbies. So, let me put it this way, YES! Snorkel fins are key when it comes to a successful water adventure, for both your fun and safety! So, let’s cover the fun aspect first. The incredible amount of power and control that the best snorkel flippers offer you means almost nothing is out of your reach. See a beautiful coral formation over there? Well now you can easily kick yourself over there in just a jiffy to check it out, instead of kicking without fins, and kicking, and getting exhausted, and then kicking some more to get to that same spot! In the safety department, that same power and control that you can use to see anything and everything you want can also be used to steer clear of potential hazards. Say, for example, a powerful current suddenly got ahold of you and started yanking you further out to sea. Wouldn’t you much rather have the power to easily swim back to where you want instead of thrashing with bare feet? I know I would! So next time you catch yourself wondering “do you need flippers to snorkel?” just refer back to this guide! The first crossroads that you’ll likely encounter when comparing fins is the closed vs. open heel design. Closed heels essentially sport a slip-on slipper design, where all you have to do is slide your foot in and jump in the water. On the opposite side is the open design where the back of the fin is just an open hole with an adjustable strap behind it. You therefore slide your foot into the hole and secure the strap behind your heel to secure the fin nice and snugly to your foot. While these two types do not typically affect the fin’s swimming power, they do have some sway on the overall weight of your fins and your personal comfort. If, for example, you’re preparing to travel to a colder stretch of water and are planning on wearing neoprene water booties for snorkeling, then the open heel design should be your focus as they have more space and adjustability. Another point I should mention from personal experience is that if you plan on scrambling over sharp volcanic rock or coral to get to your water entry point, then a pair of these water booties is a massive plus to protect your feet! Consequently, you’ll probably want to focus on open-heeled fins. In the travel department, however, we like to focus more on minimizing bulkiness and weight, right? In that case, the closed design produces some of the best snorkeling fins for travel as they are a little bit lighter and eliminate the extra bulk of having to pack water booties as they are geared towards the barefoot approach. Moving to the other end of the fin, we come to the split vs solid fin question. The difference is thankfully straightforward, where the solid fin sports continuous material, whereas the split design has a slit in the middle that travels from the forward edge back and essentially divides your fin into two freely moving parts. I personally prefer the split fin design as it takes less energy to get up to speed under water. These fins need short but fast kicks for optimal function, and that suits my swimming style perfectly! On the other hand, for you folks out there who prefer larger and more powerful kicks, then the solid design is more for you. I’ve also noticed that the solid snorkel fins make maneuvering and tight turns much easier. So, consider your swimming type and pick the design that will work best for you! Do you know those stubby little fins that you sometimes see snorkelers trying out? This is where we talk about travel fins vs regular fins. Now, I’m going to be honest with you – I’m not a huge fan. In my opinion, this type of fin doesn’t offer enough power to make a massive difference in your snorkeling adventure. Granted, they’re definitely better than nothing and are super small and lightweight for traveling, but in the end I’m bound to recommend the longer versions. The longer snorkel fins offer you prime control over your snorkeling endeavors and definitely make their bigger design worth it. Yet again, it’s up to you to pick the fins that will work best for your needs, and I’ll be sure to cover one or two of the shorter fin types in my roundup below! As always, please please please remember to make comfort a primary concern! All the power and control that a fin could possibly offer you is worth diddly-squat when it makes your feet throb after just a few minutes! 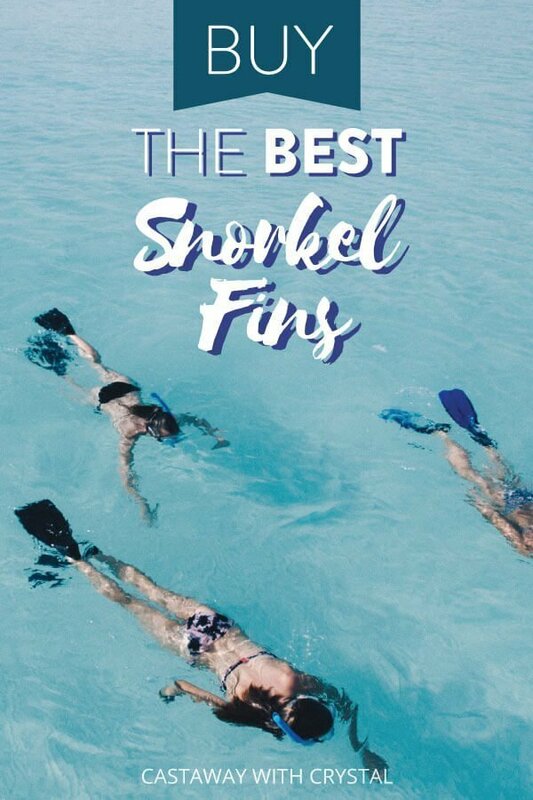 The best snorkel fins for travel will, therefore, be very comfy for your booted or unbooted feet, support your type of swimming, and be the proper length for the amount of power that you need/expect. So, let’s now dive into my list of the best snorkel fins and find just the right pair for you! The easiest and safest way to put your new fins on is by getting as close as possible to the water, then turning around to face the shore and walking backwards. Walking backwards into the water ensures you don’t trip over the floppy flippers. 💡 When you buy snorkel fins online, it’s hard to know which ones will be comfortable and fit you well. We recommend you buy your pair as early as possible, leaving at least a few months before you leave on your trip. This is so that if you receive them and realize they aren’t the right fit, there’s ample time to return them and buy another pair! Now that we’ve covered the details of what to look for, it’s time to put it all together and take a look at a few of the best flippers for snorkeling on the market, and you should be able to find the one that suits you best! As I warned you ahead of time, Cressi is my personal favorite brand. I just couldn’t stop myself from leading with the Cressi Pluma snorkel fin. This particular pair of snorkel fins is aimed squarely at lightweight and responsiveness, which Cressi nailed in their proprietary polypropylene construction. The fin body is nice and lightweight, yet I never have to worry about it breaking, as it is also incredibly strong. This strength makes for a nice rebound while kicking underwater, which in turn makes them a breeze to use and power through the waves. The Pluma utilizes a closed-foot design. They’re in their prime in nice warm environments where you don’t have to worry about wearing cold weather boots. The overall low-weight design also makes them a prime choice for travel snorkel fins. The Proflex throws a twist into the typical long-blade fin design by adding dual vents on each fin. These vents are designed to ease the water-resistance strain from kicking while boosting the overall efficiency of your kick. In that sense, I find it easier to think of them as hybrid split-fins, and they sure do a phenomenal job. The blade seems to flex in just the right spots, while the vents take just enough strain off, to give you the maximum power and control you need for a successful snorkeling trip. The open-heel design also makes this pair compatible with some neoprene boots if you’re heading in that direction. In the split-fin department, I don’t believe you could possibly go wrong with Atomic Aquatics. This company has invested heavily in making scientifically and ergonomically exceptional fins. They make some of the best split fins on the market. As a split-fin lover, I am obsessed with their design. From the strong and durable hinge points and power rails all the way to the super comfy foot pocket, these fins will make you the hot knife to the ocean’s butter. Part of their incredible performance is due to their large surface area, however, and they are therefore not the most compact snorkel fins for traveling, but they sure do pack a punch. Another powerful performer in the split-fin world are these Vortex fins from Oceanic. I like these because they provide excellent swimming power and support but are a tad shorter than the Atomic Aquatics version covered above. The closed foot design also adds to the attractiveness by eliminating any extra neoprene boots – just slip ‘em on and go! Just remember, the split fin design is aimed at a specific type of swimming and supports short and fast kicks. The smaller design of these fins, therefore, highlights the need to stick to this swimming method, as there is less room for error. Be sure these fins will fit your style before purchasing! Aqua Lung has been a top dog in the snorkeling and scuba world for quite some time and I have personally used many of their products during my travels. Their Express snorkeling fins easily follow their reputation of quality gear, with excellent flex and ergonomic closed foot design for seamless ocean viewing. The solid, full-length provides a very powerful force in the water and makes it easy to maneuver wherever you want to go. There is also a very handy flex-joint built into the foot area to give your kicks just a little bit more oomph! These babies are hands down some of the best scuba fins on the market, great to double up as a snorkel/dive combo. If the full-length fins I’ve covered so far look just a little too bulky for your travels, then the ScubaPro GO may be the perfect fit for you! These fins provide a much more compact take on the designs we’ve covered so far, and as far as shorter fins go, I’m very impressed by their comfort and power in the water. While they definitely won’t give you the same amount of underwater horsepower (is that seahorse power?) as the Proflex or Pluma, they still provide ample control to keep you on course. These are definitely some of the best travel fins for snorkeling on the market. Cressi once again works their way into my list for the best fins for travel with their Palau. These fins are designed almost exclusively for the wandering snorkelers amongst us, with a shorter, yet responsive design. The open-heel approach for this shoe adds to the travel allure by making them compatible with any neoprene boots you may be wearing, but Cressi also made this design comfortable for bare feet. You can buy these snorkel fins for warm or cold conditions and they’ll still fit your foot regardless of any additional protective gear! That’s a definite plus in my book. These are also some of the best snorkel fins for beginners looking for lightweight flippers to get used to the water before upgrading. These fins are definitely shorter than the average fins I covered earlier, making them excellent for traveling, but they’re still not the most compact fins on the market. Let’s take a look at those next. Scuba Diving: Yes. Designed for snorkeling, scuba diving and long swims. The Seavenger Torpedo is built for the traveler who wants their travel snorkel fins to last forever. They are built from a very durable material that is sure to last through all your snorkeling adventures start to finish. But more importantly, these travel flippers for snorkeling are built small. They are exceptionally compact, which makes it easy to slip them into a bag for travel without taking up too much space. Although these are the best short flippers for snorkeling, just remember – you’re sacrificing power for portability, so plan your trip accordingly! My last entry in the world of short fins comes in the form of these teeny-tiny fins from U.S. Divers. For those of you out there who absolutely want to travel with your own set of fins but have just about no space to squeeze them in, these are the best snorkel fins for travel in your case. The very small design means you can slip them into just about any bag, even a carry-on! Then no matter where your travels take you, you’ll always have at least some extra drive in the water. This extra drive, however, is very small when compared to larger surface-area fins on the market. I can therefore only recommend these puppies for more confined water dives, such as in bays or coves. If you’re heading out to see reefs in the open ocean, I recommend you aim for some larger fins to make sure you have enough control – remember the safety aspects we talked about earlier! I just couldn’t leave off without throwing yet another Cressi product on the table, and these particular fins fit perfectly with the scenario in our last pair. Just what pair are the best fins for snorkeling out in the open ocean, perhaps on a reef? Well, I’m bound to reply that the Cressi Reaction Pro is the answer. These full-sized fins feature a much stiffer material that gives your kicks much more snap and power, making them the ideal choice for stiff ocean currents or a little wave action. The closed foot design is also very comfortable for long duration wear and I wholeheartedly recommend these fins for potentially tough swimming conditions. As an added bonus, if you decided to move from snorkeling to scuba diving, these fins will perform perfectly for that activity too! And that’s it, everyone! You’ve seen my top choices for the best snorkel fins 2019, and also my top tips on how to choose the best travel flippers for your trip. So, grab yourself some fins and dive in! Have fun and stay safe, eh? If you have a question about the products just let me know and I’ll try my best to answer them! I totally get that it can be difficult to find the best snorkel fins for your foot’s needs. I am searching for the best snorkel fins for my husband. I check out your article and bought the best one. My hubby like those fins very much. thank you for your sharing.